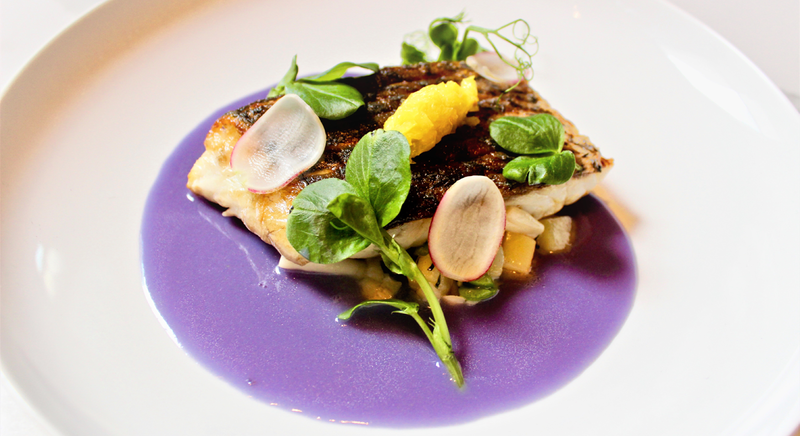 And, when you’re dining out, you’ll find that many restaurants are incorporating seasonal produce into their dishes. Not only are these veggies packed with nutrients and antioxidants, but they also taste great and are incredibly versatile. They even end up in sweet and satisfying desserts! Here are a few interesting ways to get your vegetables in, for a happy and healthy New Year. A great way to eat more vegetables is to make fun and creative salads and soups. In these kinds of dishes, you can play with temperature, where you’re serving some cold, some warm, and other hot. 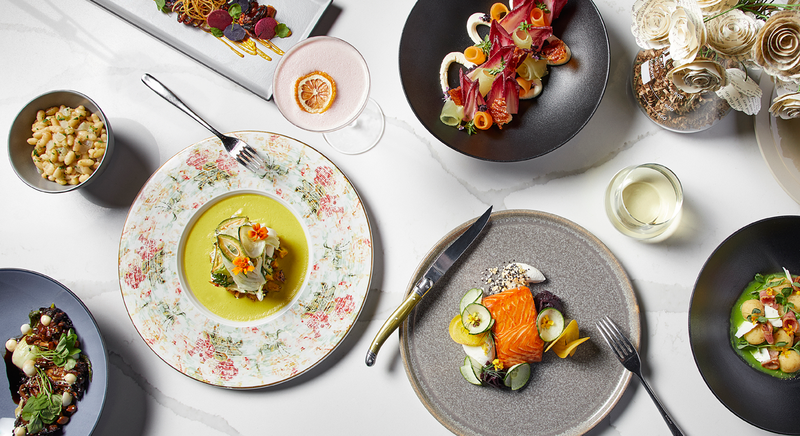 The versatility is exciting and it allows for more interesting ways to include and showcase vegetables. “I like adding dairy to certain vegetables such as cheese with root vegetables (au gratin) or milk with tubers (creamy potatoes),” says the Albert’s Executive Chef Brandon Brumback. “Soups have endless possibilities because you can serve them as a broth or as a rustic texture (slightly chunky or pureed). Here, you’re also playing with temperature,” he says. “Currently at the Albert, we are serving Endive Gratin. This dish is made by cooking endive in butter, then adding orange juice and chicken stock and braising the endive. When tender we cool and reduce the liquid to a glaze and generously coat the endive. Then we cover it in Mornay sauce (cheese infused bachamel sauce), bake it in the oven at 400 degrees and then top it with toasted bred crumbs and herbs. It’s a way to have vegetables with the flavor of meat, without actually eating meat,” he says. healthier. Who doesn’t love a Bloody Mary, right? Rebecca Royster, director of Food and Beverage at the Albert, shares her must have flavors for a good Bloody Mary: V8 Vegetable Juice, fennel, celery and, cayenne, the latter of which promotes heart health, joint pain relief, and can support weight loss. Oh, and don’t forget the 1.5 oz. of St George Green Chile Vodka, which provides a nice kick. Want to add a few bonus health perks to your sweet or savory dessert? Add in chopped vegetables for a healthier base and a nutrient punch. A great way to emphasize a vegetable’s taste in a delicious, sweet format is through a carrot cake soufflé. 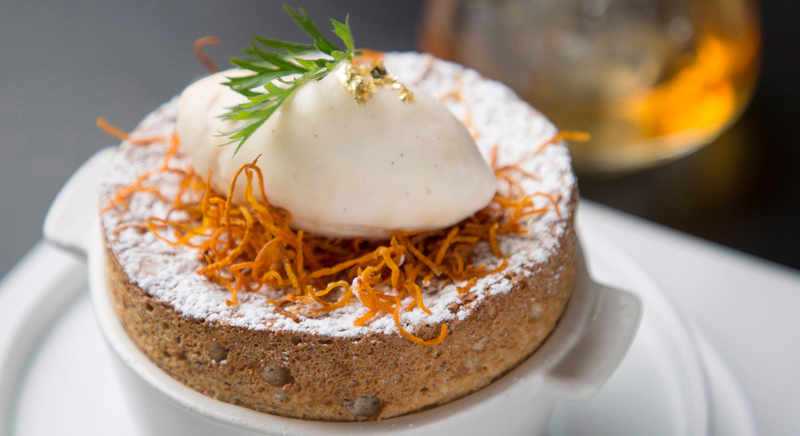 At the Albert, the carrot cake soufflé by pastry chef Vanarin Kuch makes a statement—using carrots, pineapple, and vanilla, for the batter, as well as dark brown sugar, cream cheese, and cinnamon for the base, it’s a perfect blend of spicy and sweet, and creamy and tangy. Some desserts might mask vegetables, such as using beet or zucchini for a chocolate base or frosting; however, in this dish, carrots’ flavor is elevated to create something spectacular and unique.